"Drew Brees has played at a level only matched by Chiefs phenom Pat Mahomes, the two men are runaway MVP candidates, as New Orleans boast the highest scoring offence in the NFL (37.2 points per game)." The New Orleans Saints suffered a surprise defeat on Opening Day to the Tampa Bay Buccaneers but since then have won 10 straight games and hold the best record in the NFL going in to Week 13. Veteran quarterback Drew Brees has played at a level only matched by Chiefs phenom Pat Mahomes, the two men are runaway MVP candidates, as New Orleans boast the highest scoring offence in the NFL (37.2 points per game). The 31-17 victory over the Atlanta Falcons on Thanksgiving demonstrated the wealth of offensive weapons available to Head Coach Sean Payton. Brees threw four touchdowns passes to a quartet of receivers who had a combined total of just two TDs before the game, as the Falcons defence struggled to deal with New Orleans, despite a quiet night for star pass catcher Michael Thomas. By contrast, the Dallas Cowboys have stumbled their way to a 6-5 record despite facing a relatively easy schedule. However, the rest of the NFC East has been just as inconsistent and after Amari Cooper's pair of touchdowns powered Dallas to a win over the Washington Redskins last week, the Cowboys are top of their division. The self-styled America's Team have beaten New Orleans just twice since star running back Ezekiel Elliott was born (in 1995) and will need to reverse that trend if they are to maintain top spot; with Washington facing the defending champion Philadelphia Eagles a win is the only way for Jason Garrett's team to stay ahead of the game. John Gruden's Oakland Raiders are in freefall and are in full on rebuilding mode, the Chicago Bears traded for Khalil Mack and made him the highest paid defensive player in NFL history in the offseason and he has repaid them handsomely; now Amari Cooper is following the same path. The receiver, Oakland's first round pick in 2015, was traded to Dallas after six games this season and after a couple of solid performances he exploded on Thanksgiving. With eight catches for 180 yards and two TDs, Cooper was the star of a 31-23 win and seemed to show Jerry Jones that he made a sensible decision to acquire the 24-year-old. The Florida native will be a key man tonight as Dallas tend to rely on Zeke Elliott and the running game to carry them through games, but they host a Saints side with the best run defence in the NFL. If Zeke can't get going it will be down to QB Dak Prescott and Cooper to repeat their heroics from last week to give their side a shot. Prescott will be buoyed by the fact that multiple quarterbacks posted impressive stat lines against New Orleans earlier this season, most notably Ryan Fitzpatrick and Matt Ryan, but the Saints defence is morphing in to an entirely different animal as the playoffs approach. 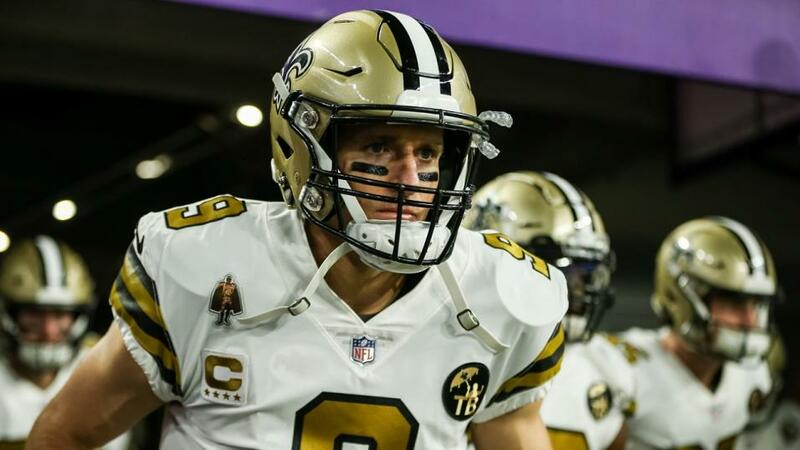 While the LA Rams and Kansas City Chiefs are making all the headlines with their high-scoring, high-flying offences winning shootouts week in week out, the Saints have been dominant in the past few weeks. Drew Brees has led an offensive unit who have scored over 30 points in nine of their 11 matches this season, the only exceptions being a comeback win over Cleveland and a nail-biting 24-23 victory in Baltimore. Fortunately for Payton and his side, the game against the Ravens seems to have served as a wake-up call for the defence, while the offence has continued to play at an incredibly high level. In the five games since their trip to Baltimore, the Saints have won by 10 points or more as they develop in to the most complete team in the league. The Black and Gold defensive line registered six sacks against Atlanta and has Sheldon Rankins developing in to an able sidekick for the formidable Cameron Jordan. Rankins has a sack in each of his last three games and with the likes of Brees, Thomas and Alvin Kamara seemingly able to find the endzone at will Rankins and the rest of the defence will have plenty of chances to add to chase down Dak Prescott at AT&T Stadium. The Saints are unbeaten on the road this season and are locked in an intense battle with the Rams for number one seed in the NFC, and Dallas represent one of their biggest tests down the stretch. A win tonight is vital.